Spencer Township Neighborhood Center – Building today for a stronger tomorrow! 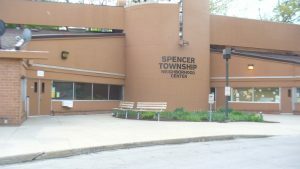 Spencer Twp. Neighborhood Center is a community based center. February 2012 we the S.T.N.C opened up hitting the ground running with providing assistance and resources to those in need. We not only serve just Spencer Twp. We serve surrounding areas such as Springfield, Sylvania, Harding, and the rest of Lucas County. Person to person building a stronger community! Our mission here at Spencer Township Neighborhood Center is to provide assistance, resources, and guidance to those in need. Even though STNC may be in the hub of Spencer Township, we turn no one away. We will continue to strive for excellence in Building Today for a Stronger Tomorrow.